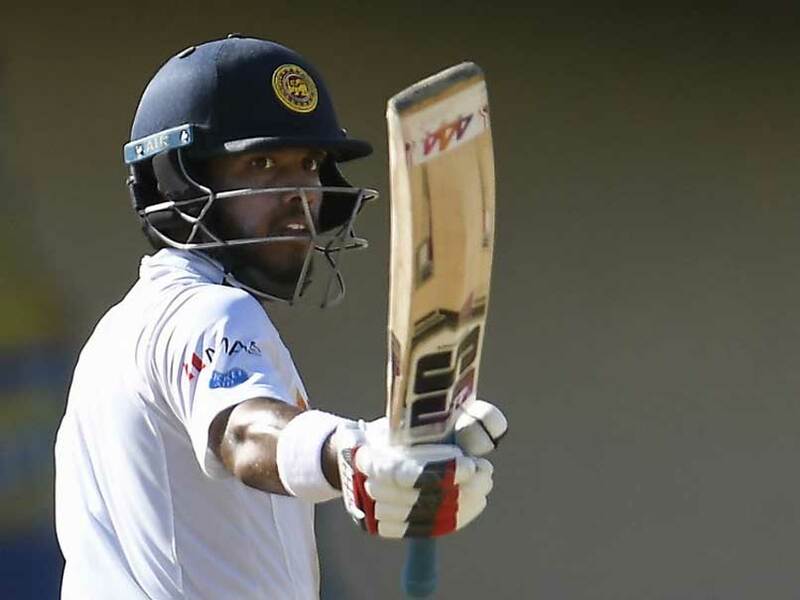 Kusal Mendis was leading Sri Lanka's ambitious push at an unprecedented 453 runs to beat the West Indies in the first cricket test on Saturday. Mendis was 94 not out and Sri Lanka was 176-3 in its second innings when bad light stopped play. They need 277 more on the fifth and final day on Sunday for a still unlikely win in Port of Spain. West Indies pacer Shannon Gabriel induced Kusal Perera on 12 to edge to first slip for the first Sri Lanka wicket, and he should have had Mendis in the same over. Mendis, on 6, nicked Gabriel and West Indies' big appeal was turned down. But the home side failed to follow up asking for a video review, which revealed an outside edge. Mendis was also dropped on 42 by wicketkeeper Shane Dowrich off legspinner Devendra Bishoo. With the double let off, Mendis hit nine fours and two sixes in 186 balls, and was six runs shy of a fifth test century. He lost four partners, only three of them counting. Captain Dinesh Chandimal retired on 15 in the 11th over, possibly dehydrated. He could return on Sunday. Angelo Mathews was caught behind on 31 trying to flick away Jason Holder down the leg side, and Roshen Silva was out for 14, caught and bowled by Bishoo. Lahiru Gamage was sent in as nightwatchman and survived four balls without scoring when bad light was ruled. Kieran Powell, on 64 overnight, was out for 88 when he charged at Perera and lobbed the ball. Holder was out for 39 and declared soon after lunch, giving his side five sessions to win the match. Sri Lanka didn't last two innings in its first innings, but endured two sessions in its second with wickets in hand and a reducing runs required.